Powerful, perceptive and fluid vocals are teamed with an instrumental musicianship honed through years of study. The result is a musician hailed as the most important traditional singer to emerge in recent years by Donal Lunny. He has come a long way since the release of his debut album The First Turn, in 2009, continuing to rise and gain in stature among the Irish folk-singing circuit since then. Following the release of his second album True Born Irishman in 2016 Daoirí was nominated for three 2017 BBC Folk Awards and won the award for best newcomer and for best traditional track. This brought Daoirí to worldwide attention and he has toured across the world since then. In 2018 he toured to major venues in the UK with the all-star Transatlantic Sessions. Daoirí’s new album, A Lifetime Of Happiness. which has been produced by Dónal Lunny, and is due for release in February 2019. 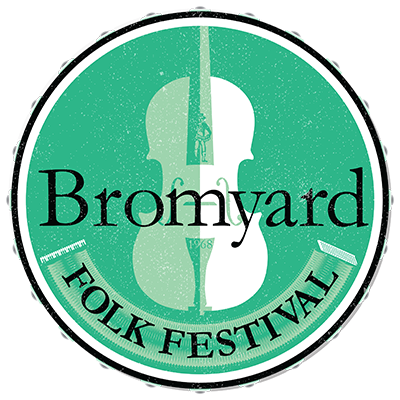 Frequently seen performing solo and known for his show-stopping unaccompanied singer, Daoiri also performs with Mark Redmond on uilleann pipes and Robbie Walsh as the Daoiri Farrell Trio. Mark Redmond from County Wexford has performed as soloist at many significant events including with the RTE Concert Orchestra; RTE National Symphony Orchestra (including a performance of the Brendan Voyage in the NCH, Dublin and in 2017 as soloist on the occasion of the state visit of Queen Elisabeth II to Ireland, 2011), Camerata Ireland under the direction of pianist Barry Douglas for the premiere of Ólagan commemorating 1916, in the Kennedy Centre for Performing Arts in Washington, with The Savannah Philharmonic, Georgia, USA, with the Orchestre Symphonique de Bretagne in Rennes in France, and at the Eucharistic Congress in 2012 when Mark played solo during the closing ceremony at Croke Park in front of over 80,000 people and a worldwide live television audience. As well as being a member of the Daoirí Farrell Trio, Mark has also performed live with Glen Hansard, Declan O’Rourke, Jack L, Westlife and has toured globally with Riverdance, Celtic Legends, and more. Robbie Walsh is a bodhrán player and proud Dubliner raised with a strong musical background in many genres, his style is the definition of diversity. Inspired by the fantastic playing of his uncle, Robbie began to learn ‘the ropes’ from the great Noel Dowling of Kilkenny. In 2008 he won the Dublin and the Leinster Bodhrán Championships; moving on to win the Senior All Ireland title one month later at Fleadh Ceoil na hÉireann in Tullamore. Robbie has also worked with a lot of individual musicians on various projects and albums, such as Alan Doherty, Laoise Kelly, Gerry O’Donnell, Tom Walsh, Seamus Begley, Joe McKenna, Paul Kelly, Eleanor Shanley, Brendan Hayes, Colin Farrell and Frankie Lane to name but a few. I’ve been listening to Daoirí’s emerging sounds since first hearing him at the Góilin Singers Club in Dublin when he was a young lad….always a treat to hear him sing. Effortless, instinctive, natural…the real deal. On only his second solo album this former electrician surely steps into Irish folk legend….Put his ferocious and dramatic version of Van Diemen’s Land against the pitiful U2 Rattle And Hum rendition and the depth and intensity of Farrell’s art is clear. Bold and Undeniable. The creamy forthrightness of Paul Brady, the occasional guile and nuance of Andy Irvine and the attitude and approach to material, perhaps, of Christy Moore. Not a bad trio of names to throw into a barrel of comparisons but the signs are all there that this is a guy with the conviction and wherewithal to justify them and take the re-birth of authentic Irish song-making several leagues forward…an exceptionally good singer and a great bunch of songs. Is any more than that needed? Not in this case. It’s not hard to understand why the mighty Donal Lunny has championed him…An album that could yet prove to be one of the most significant Irish releases of recent years. True Born Irishman is definitely one of the year’s outstanding Irish music albums; you owe it to yourself to hear it. Farrell has created quite a buzz in Ireland…it’s easy to hear why. His powerfully unadorned vocals might be from any era, variously recalling Paul Brady and Andy Irvine…it’s a powerful statement. This is a superb album from a first-rate singer, and it is unlikely to be too far from my CD player for quite some time. 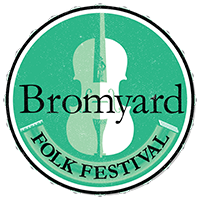 © 2019 Bromyard Folk Festival.